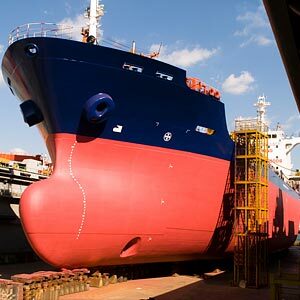 Experience has shown that time and money is lost by inexperienced staff who incorrectly prepare vessels for dry-docking, particularly when dry-docking tankers, whether clean product, dirty product or large crude oil tankers. The wastage of fuel alone equates in some cases to many thousands of dollars and the lengthy, often unnecessary tank cleaning procedures are a prime area of fuel wastage. Owners today are short of highly experienced senior officers and although their sea staff are competent in the day to day running of the vessels, they often lack experience in the more complicated operations of pre dry-docking repairs and dry-docking preparations. In the case of tankers, we at Stanton Marine have seen senior officers washing cargo tanks unnecessary and instead of concentrating on certain areas in the tank for given time periods, the washing guns were left to wash through full cycles for lengthy unnecessary and expensive periods. Just one cargo pump running at full speed for one day will consume, on average 30 tonnes of fuel oil. 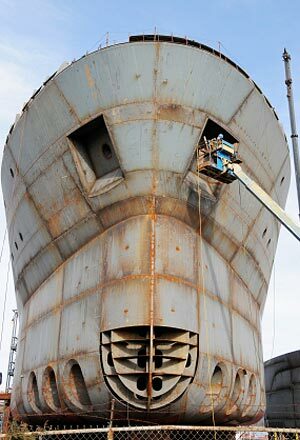 We have seen some tankers taking upwards of ten full days tank washing in preparation for dry-docking yet the same vessel could have been washed successfully and efficiently in less than one third of that time. The change over from dirty to clean ballast can more than often not be made concurrent with tank washing. Gas freeing, a dangerous operation which has resulted in many tanker explosions, should only be made by the most experienced personnel. Experience has also shown that many items on present day dry-dock lists can be repaired or replaced by sea going repair teams, which is a much more cost effective method of repair than those made in dry-dock. By using Stanton Marine’s Superintendents Tanker owners can save money, relieve their own superintendents for their highly pressured work loads and be secure in the knowledge that only experienced, hard-working ex-tanker senior officers will be in charge of the full operation and repairs. A full and confidential final independent report is always made after each dry docking. Stanton Marine Limited seek long term relationships with our clients, worldwide, at all times.